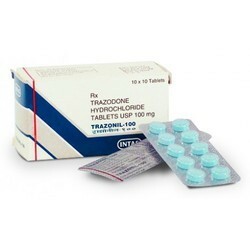 Our range of products include stalopam tablet, hypnite, naltima, hydroxyzine hydrochloride, duzela capsule and clofranil tablet. 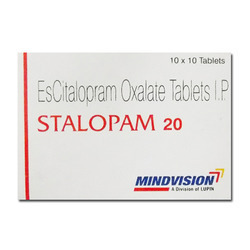 It is used in the treatment of depression, anxiety disorder, phobia, post traumatic stress disorder and obsessive-compulsive disorder. It is a medicine, also called a hypnotic. It affects chemicals in the brain may be unbalanced in people with sleep problems. It causes relaxation to help you fall asleep and stay asleep. Vomiting, Nausea, Nervousness, Acne-like rash, Anxiety, Constipation, Diarrhoea, Drowsiness, Dizziness, Headache, Impotence, Insomnia, Irritation, Loss of appetite, Muscle pain, Joint pain, Stomach pain, Stomach cramp, Tachycardia, Teary eyes, Weakness. Hydroxyzine reduces activity in the central nervous system. 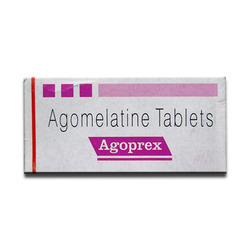 It also acts as an antihistamine reduces the natural chemical histamine in the body. Histamine can produce symptoms of sneezing and runny nose, or hives on the skin. It is used to treat anxiety and tension. It is also used together with other medications given for anesthesia. It is also used to treat allergic skin reactions such as hives or contact dermatitis. It is used in the treatment of depression, anxiety disorder, diabetic nerve disease, fibromyalgia, neuropathic pain and stress urinary incontinence. 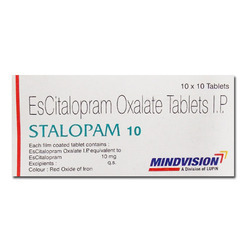 It is used in the treatment of depression and obsessive-compulsive disorder. It is used in patients intolerant of or unresponsive to alternative treatment options for depression. Sleepiness, Blurred vision, Dry mouth, Difficulty in urination, Constipation, Orthostatic hypotension , Weight gain, Increased heart rate. It is used to prevent and treat low vitamin B12. Lack of vitamin B12 may cause anemia and damage to the nerves. 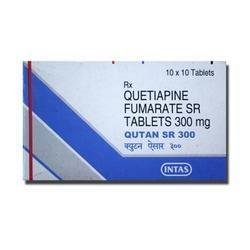 It is used to treat diabetic neuropathy and peripheral neuropathy. Medication is a serotonin-norepinephrine reuptake inhibitor, prescribed for depression, anxiety disorder, and also used for managing pain caused by fibromyalgia and diabetic peripheral neuropathy. It maintains the mental balance and stops the movement of pain signals in the brain. Nausea, Diarrhoea, Insomnia , Headache, Fatigue. Nausea, Diarrhoea, Insomnia, Headache, Fatigue. 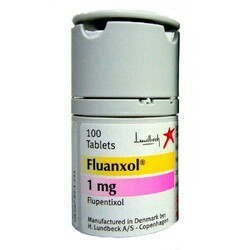 It is used in the treatment of anxiety, depression as well as mixed anxiety with depression. 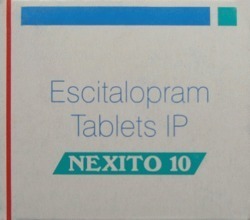 It is an antidepressant belonging to a group of drugs called selective serotonin and norepinephrine reuptake inhibitors. Venlafaxine affects chemicals in the brain may be unbalanced in people with depression. 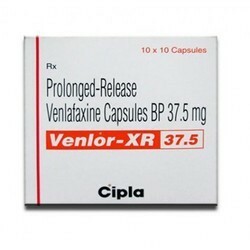 Venlafaxine is used to treat major depressive disorder, anxietyand panic disorder. 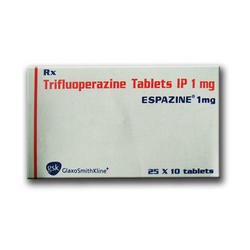 It is an atypical antipsychotic. It works by modulating the action of certain chemical messengers in the brain affects thoughts. 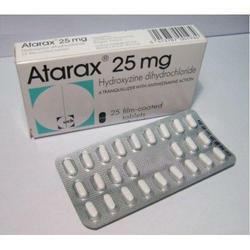 Headache, Dystonia, Sleepiness, Parkinsonism, Akathisia, Dizziness, Decreased haemoglobin level in blood, Weight gain, Increased triglyceride level in blood. 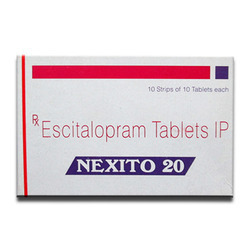 It is used to treat anxiety, panic disorders and sleep disorders. It belongs to a class of medication. It works by enhancing the action of a signaling chemical called gamma amino butyric acid, which helps to calm the brain. This, in turn, induces sleep and causes relaxation of muscles in the body. It may take 6 weeks to see the full effect. It changes chemicals in the brain.It is also used in low doses as an antidepressant. 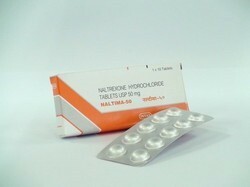 It is used to prevent relapse of schizophrenia. 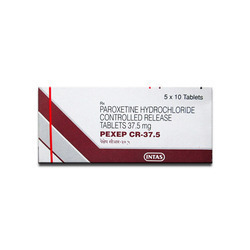 It is indicated for the treatment of depression, nausea, vomiting, emotional instability and other conditions. 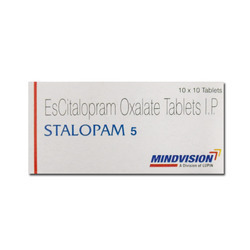 It contains Desvenlafaxine is used in the treatment of major depression. 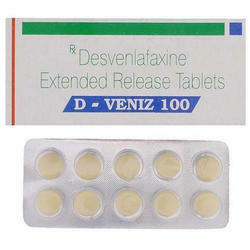 Desvenlafaxine belongs to a class of medications called selective serotonin and norepinephrine reuptake inhibitors. It acts by increasing the amounts of chemicals in the brain. 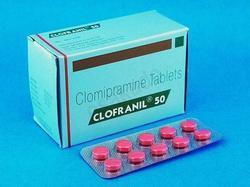 It is used in the treatment of depression. It works by a resynchronizing sleep-wake cycle is disturbed in depression. Headache, Nausea, Dizziness, Fatigue, Anxiety, Insomnia, Back pain, Abdominal pain, Change in body weight, Diarrhoea, Constipation, Sleepiness, Increased liver enzymes. 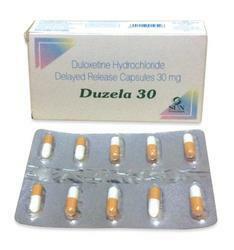 It is used in the treatment of depression and anxiety disorder. It works by increasing the levels of chemical messengers, natural substances in the brain that help maintain mental balance. Nausea, Vomiting, Dizziness, Insomnia, Decreased appetite, Anxiety, Constipation, Increased sweating, dysfunction. 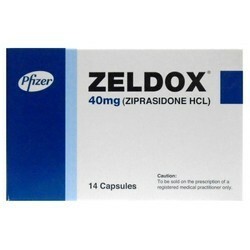 It is used to treat the symptoms of schizophrenia. 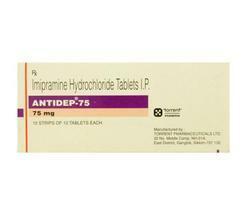 It is also used to treat episodes of mania or mixed episodes in people with bipolar disorders. Anxiety, hypomania, mania, psychosis, schizophrenia. 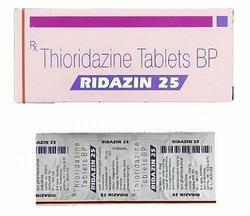 Ridazin blocks postsynaptic mesolimbic dopaminergic D1 and D2 receptors in the brain; blocks alpha-adrenergiceffect, depresses the release of hypothalamic and hypophyseal hormones and is believed to depress the reticular activating system thus affecting basal metabolism, body temperature, wakefulness, vasomotor tone, and emesis. 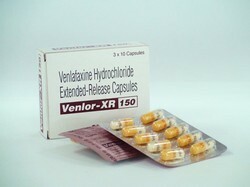 Medication is an antidepressant, prescribed for depression. 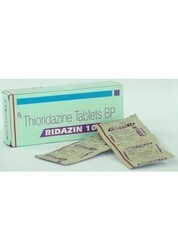 It is also used to treat bed wetting in children. It increases the amount of certain natural substances in the brain. Sleepiness, Blurred vision, Constipation, Weight gain, Dry mouth, Difficulty in urination, Increased heart rate, Orthostatic hypotension. 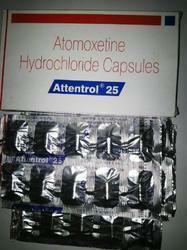 Attentrol contains Atomoxetine Hydrochloride (Attentrol Capsules) is used for treating attention deficit hyperactivity disorder (ADHD). 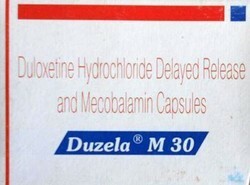 Each capsule of Atomoxetine (Attentrol) contains atomoxetine HCl equivalent to 10, 18, or 25 mg of atomoxetine.